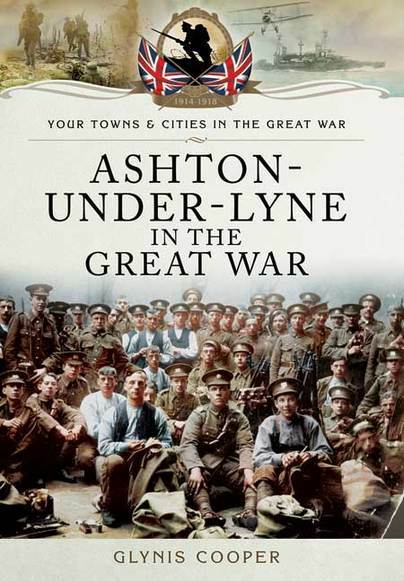 You'll be £9.99 closer to your next £10.00 credit when you purchase Ashton-under-Lyne in the Great War. What's this? A new book on Ashton-under-Lyne during World War I is being published as part of a series on Towns and Cities in the Great War to commemorate the centenary of the beginning of the War. It focuses on the economic and social conditions, problems and hardships of those left at home in England played out against a background of military action on the Western Front, in Turkey, Egypt and Palestine. Ashton was both a garrison town and a mill town. There were three Battalions based locally and over 1500 local men lost their lives. Sir Max Aitken, later Lord Beaverbrook, was Liberal Unionist MP for Ashton. In the summer of 1917 five tons of TNT exploded at an Ashton munitions factory destroying mills and houses, setting gasometers on fire and hurling acid drums into the river. Fifty people died and five hundred were injured. 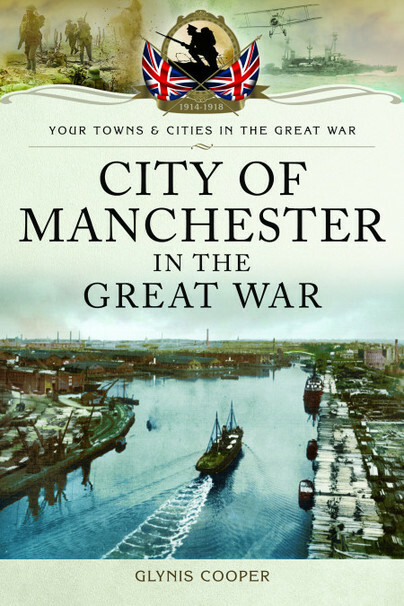 The book chronicles the difficulties, hardships, restrictions and morale of the town year by year as the War dragged on; the constant fear of Zeppelin raids; and the determined spirit of the folk of Ashton that the Kaiser would not beat them. Glynis Cooper is an archaeologist, librarian and novelist with a passion for local history. During the last fifteen years she has researched, written and published over a dozen local history books and a novel. Among her publications are Castle Hill: Glossop's Other Fort, St Martins: The Roman Fort of Scilly, Longdendale: The Travellers' Valley, and The Illustrated History of Manchester's Suburbs. Currently she is compiling Spinning the Web, a site based on the history of the textile industry in northwest England.